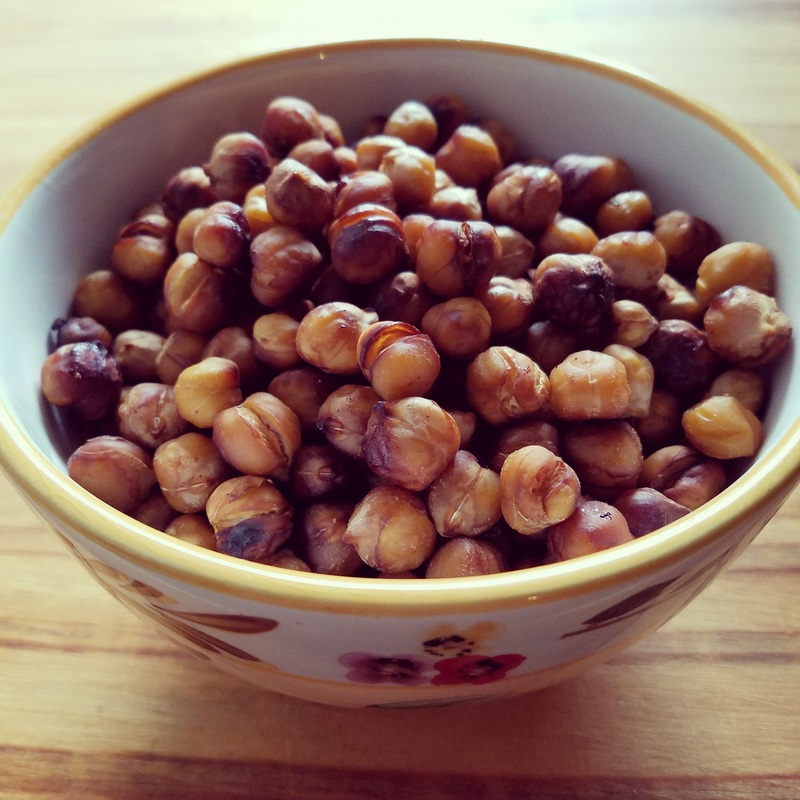 Roasted chickpeas are a great choice for when you are craving something salty and crunchy. Snacks are very important in my house. I love snacking! I also like having healthy snacks ready for when my kids get home from school. 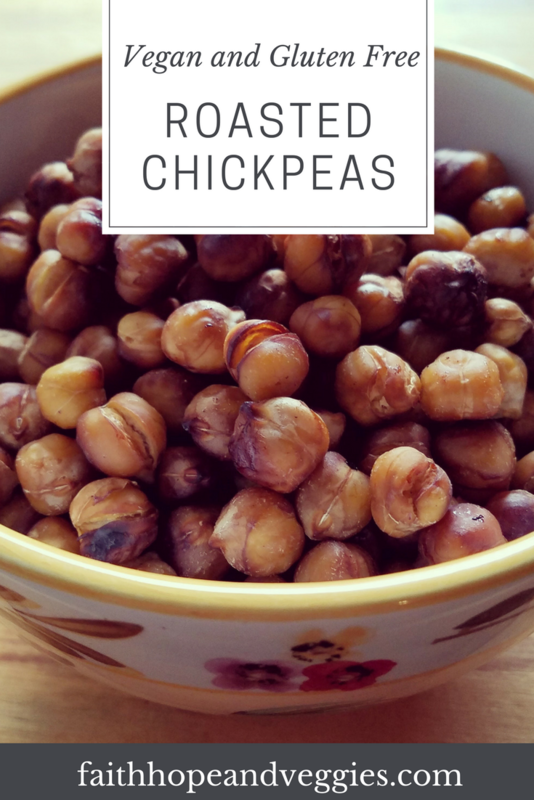 We are all usually very hungry in the afternoon and these chickpeas are perfect to fill up us. They are also very healthy so there is no guilt involved. 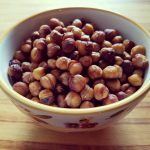 Roasted chickpeas and super easy to make and you can spice them up however you like. 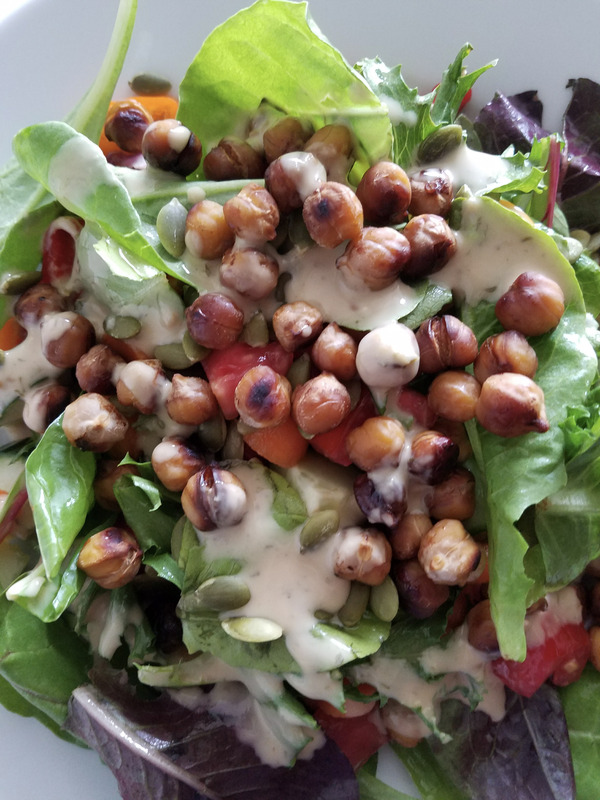 My favorite is tamari and balsamic, which gives the chickpeas a little sweet and salty flavor. 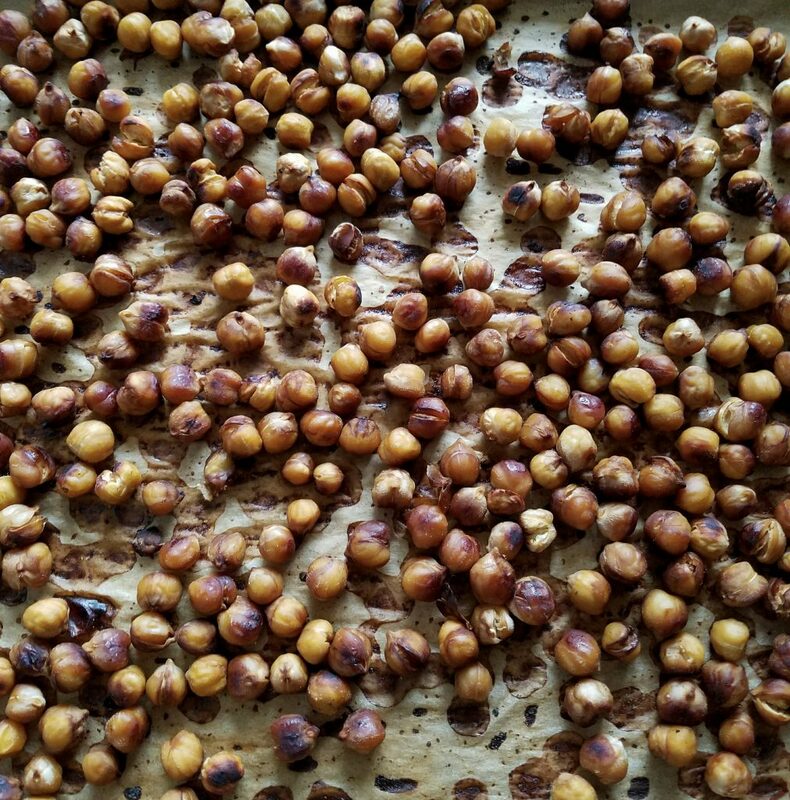 The chickpeas get roasted for 30-40 minutes until they are crunchy. Since I have a toddler I make mine a little softer so she can easily chew them. Also try putting them on top of salad to add some crunch and protein. Drain and rinse the chickpeas. Dry the chickpeas on towels and rub off any loose skins. Line a sheet pan with parchment paper or lightly oil the pan. Toss the chickpea with the soy sauce and balsamic. Put the chickpeas on the sheet pan and roast them for 30-40 minutes. The longer you roast them the crunchier they get.